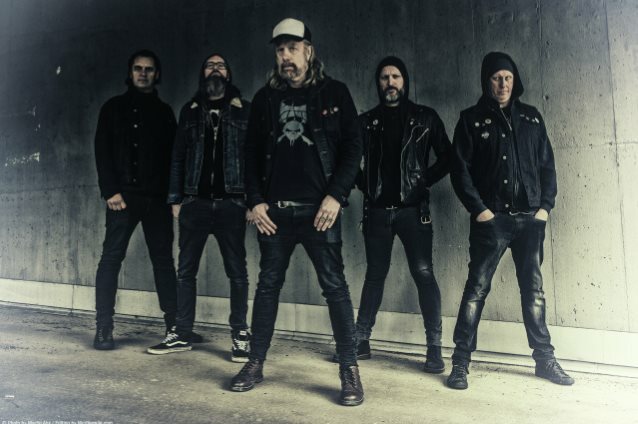 Swedish death metal supergroup THE LURKING FEAR will release its debut album, "Out Of The Voiceless Grave", on August 11 via Century Media. Recorded at Welfare Sounds in Gothenburg, Sweden, the disc will be available as special-edition digipak CD, gatefold LP on 180-gram vinyl with a poster and as a digital download. The album's LP edition will be available on classic black vinyl as well as on limited colored runs as follows: silver vinyl (200 copies; CM Distro Europe), clear vinyl (200 copies, Sweden) and golden vinyl (300 copies; CM USA). 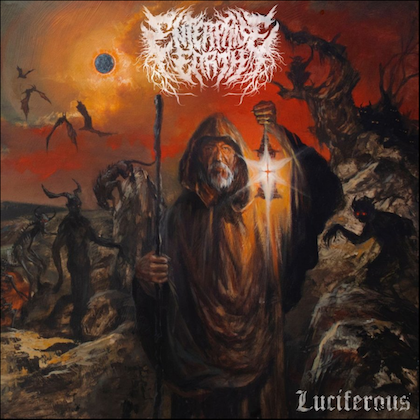 The first single from "Out Of The Voiceless Grave", a song called "Vortex Spawn", can be streamed below. 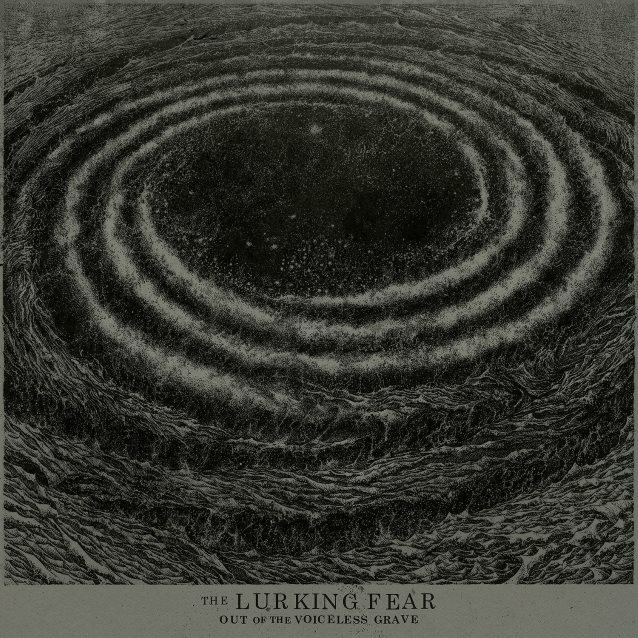 THE LURKING FEAR vocalist Tomas Lindberg said: "To us, this track sums up all the raging, interstellar evil that we try to convey with this album. We want the riffs to slither out of your speakers like torrents of tentacles, crowned in festering doom. The vocals pulsating with aeons of filth and death. Spewing out of its cosmic, voiceless grave: the 'Vortex Spawn'. Timeless death." 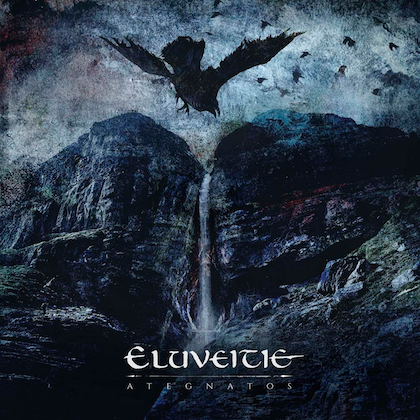 The cover artwork for "Out Of The Voiceless Grave" was designed by Stefan Thanneur and can be seen below. 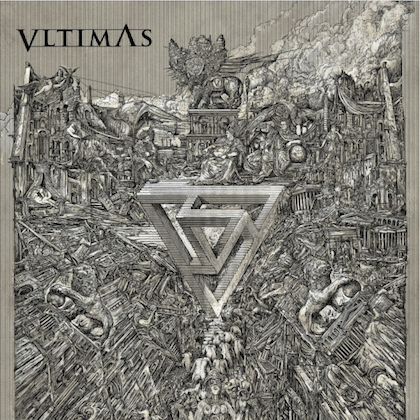 Lindberg previously stated about the "Out Of The Voiceless Grave" artwork: "Stefan Thanneur understood the vision I had for 'Out Of The Voiceless Grave' straight away. He has portrayed the exact same nightmare vortex of interstellar death and terror that I envisioned when I wrote the lyrics and came up with the concept. Pure cosmic evil. Even more twisted madness than my imagination could portray. I have been very happy to work with yet another great talent. You can never get enough tentacles." Featuring members/ex-members of illustrious and influential acts like AT THE GATES, THE HAUNTED, SKITSYSTEM, DISFEAR and GOD MACABRE, THE LURKING FEAR is not just another retro all-star project, but a real band of five death metallers who organically got together in order to celebrate the metal breed closest to their roots as well as their hearts. Citing common inspiration by bands like AUTOPSY, POSSESSED, early DEATH, REPULSION, early MORBID ANGEL, SLAUGHTER, BATHORY, early SLAYER and MASTER/DEATH STRIKE, THE LURKING FEAR previously stated about the band's formation: "We are a death metal band. Not your average new wave of old-school death metal band. We play death metal from the heart with pure emotional impact and a focused artistic vision. This is the music we live and breathe. Always have, always will. "We have all played in various other bands for over 25 years and we just want to spew out the music that we want to hear. When we get together, this is what comes out of naturally, because we share the exact same reference points. We love 'Seven Churches' and 'Mental Funeral' for the exact same reasons. "We want our death metal ugly, twisted and possessed. We miss the urgency, intensity and 'realness' in a lot of the modern death metal. Therefore, it is natural for us to stray away from the streamlined sounds of today, but rather focus on bringing sheer, natural weirdness and horror back to the table…"